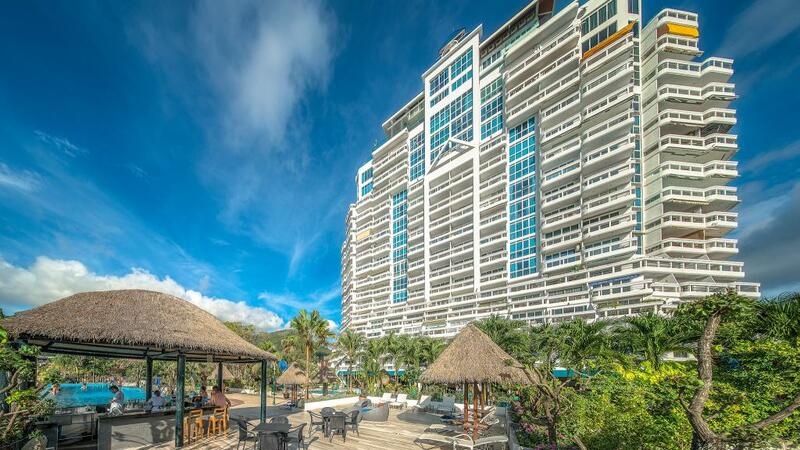 Andaman Beach Suites Hotel is a high rise building located 150 metres from Patong Beach. From here you can enjoy a leisurely 5 minute walk to the beach, or a 10 minute walk to Bangla Road and Jungceylon Shopping Centre. Facilities at this Phuket resort include 2 swimming pools, tennis courts, massage and beauty treatments, restaurant and a lobby bar. Phuket Early Bird Deal: Save Over 55%! Book your 2020 Thailand holiday early and save $$$! This spacious Phuket accommodation offers a great option for couples & families who are looking for a prime location to enjoy a relaxing holiday. Andaman Beach Suites Hotel boats a range of rooms & suites to choose from suitable for couples & families. Guests can access the fantastic on site facilities including swimming pools, tennis courts, restaurant & bar, massage service & kids room.